A safely enclosed resort in the heart of exclusive Quinta do Lago, where you will have you own private townhouse with private pool set in the fabulous Martinhal Quinta resort. With fun resort pools, play areas, restaurants, a crèche and kids’ club and more, family holidays here are guaranteed to be a hit. Amazing! The service was incredible. Pure luxury while keeping the kids happy. We truly loved it. This was our first family holiday away with a 2 and 4 year old for half term. The resort was absolutely brilliantly catered for young children and having all the kid essentials in the apartment was really helpful. The resort staff were very nice and even though they said they were booked fully, it never felt crowded and was very calm, relaxing environment. We put the kids into kids club for one rainy morning and they both loved it! 5 min easy drive to the beach with free parking and breakfast included was a fantastic start to each day. My daughter said she wanted to stay there forever. Highly recommend and would visit again. Fabulous holiday as relaxing and easy as it could be with a toddler. Everyone was friendly and helpful. Would definitely recommend to others. A great resort to go to with young children. This was our second trip and the first with 2 little ones to look after but the baby equipment at the resort makes it all possible. A surprisingly relaxing holiday with our baby! A fantastic week in a lovely place, and huge thanks to the brilliant staff who couldn’t do enough to help. We have just arrived back from Martinhal Quinta with our 21 month old and I cannot find the words to do this place justice. We had a phenomenal family holiday. Every detail taken care of and our daughter acted like she’d lived there all her life 3 hours after landing. Thanks to everyone at Martinhal and Tots to Travel for making it so memorable. A lovely resort with a fantastic pool and splash pad for little ones, with extra water fountains, sand pit, and trampoline. The house was fab (and huge!) and having our own small pool for when we didn't feel like leaving the house was great. It was great to get some adult quiet time while the kids were at kids' club too. Great! The kids absolutely loved it, being close to the airport makes transfers very easy. Having a kids club member of staff at dinner 6-8 every evening to entertain the children was brilliant. The kids loved the pools, the playground, especially the ride-ons! And almost a week later, they are still talking about the pyjama party and want to go back!!! Very clean villa, the welcome pack of provisions is a nice touch. Staff almost all absolutely brilliant and made us very welcome. Our second Martinhal holiday, we would do a third! A fantastic visit to Martinhal Quinta. Villa was excellent and spacious so the kids could roam around freely. Would have liked a bigger selection of toys and DVDs, but a minor thing. Pool area was great and the kids loved the camper van and trampoline. Amazing resort, fantastic set up. Would recommend hiring a car though as facilities are limited, especially food if you don’t want to do self catering all week. Couldn’t have been more relaxing or better service though. Second time around for us, but this time we hired two townhouses and brought the family. Although the weather was a little unpredictable, this was a wonderful and relaxing holiday. Everything to hand, pools, trampoline, play areas, gear places to eat and visit and, even a very good hairdresser. We all loved every minute, thank you Tots to Travel. 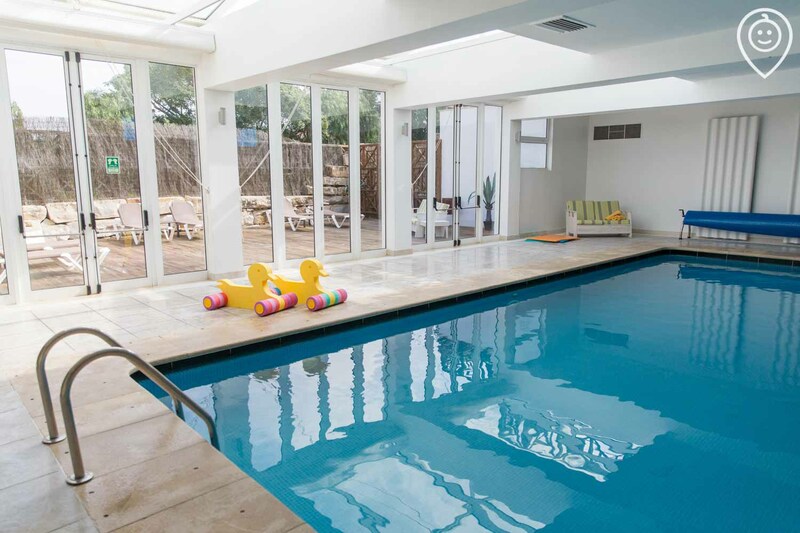 This is a really great place, perfect for children with the pool, trampoline and kids club. Very friendly staff. The townhouses are spacious and spotless and they have thought of everything. We had an amazing time in the resort. I was a bit worried as it was our first ever resort holiday and that with an 18 months old girl, and i didn't know how other guests would react to a tantrum or a misbehaving kid. However, everyone was really friendly, esp. the staff and they always helped and distracted the kids. Children were also running around the tables and staff didn't mind. Best of all was the care for toddlers. Everything was safe, toys were available as well as potties and so much more. This really helped with baggage. Absolutely fabulous for our three year old granddaughter as well as for the three accompanying adults. Great resort within Quinta do Lago. Villa clean and convenient. g Good pool area with kids play area (trampoline, sand pit, camper van and fountains). Breakfast buffet is OK, the food in Bar M is good but limited. Very good kids club. Overall a great Base to enjoy Quinta. Just a shame the villa pool is not heated. Amazing villa and staff. We had a fabulous time. My only negative is you need to be made aware in advance that there is on one restaurant that is more snacks and the shop doesn't have a great selection of food for 'meals'. We had the best holiday since we having kids, we actually relaxed. The place is so child friendly, our daughter (3) and son (1,5) had the best time. We absolutely loved it that we had our own swimming pool and the main pool was also amazing, with lots to do for the little ones. Great location just 20 minutes from airport. Lovely site and the wonderful buffet breakfast was a welcome surprise when we got there. Me, my partner and our 1 year old stayed here in September... One word PERFECT 20 minutes from the airport, 5 minutes from the beach, great kids pool, babysitting service, kids club and the TV even had CBeebies which was so helpful. We would definitely return, the free wifi has a really strong connection so I was even able to catch up on some work stuff whilst I was there. Ticked all the boxes for us. We just returned from what we can only refer to as a family heaven!! Martinhal Quinta is everything we wanted from a family holiday together, we had the privacy of our own villa pool but also the luxury of the resort facilities which the kids just loved! The Mbar and pool area was by far their favourite place to hang out, with plenty of space for everyone not to feel on top of each other. The Kids Club staff were just fantastic and kept them entertained for hours which meant we could enjoy some rare quiet time relaxing back at the villa. 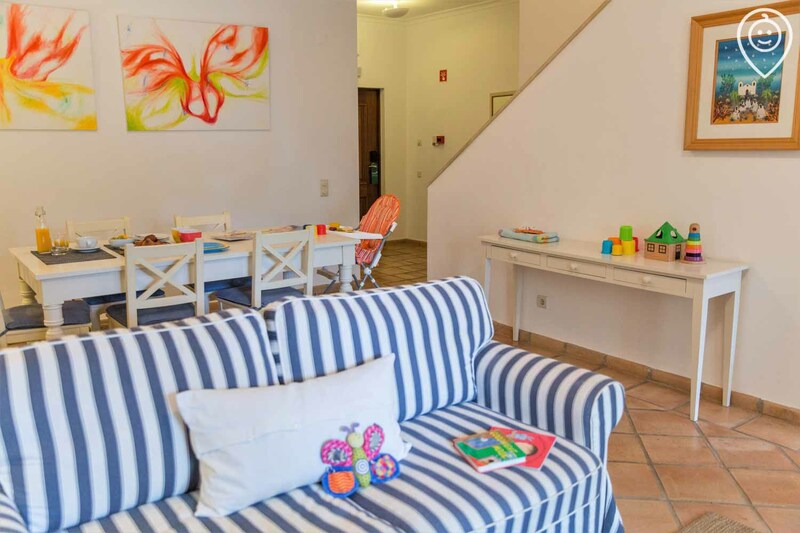 Quinta do Lago is only 20 minutes away from Faro Airport which makes travelling with the children less of a worry. The restaurants in the area provided a great variety of options for lunches and dinners although we preferred making the most of our villa and outdoor BBQ! 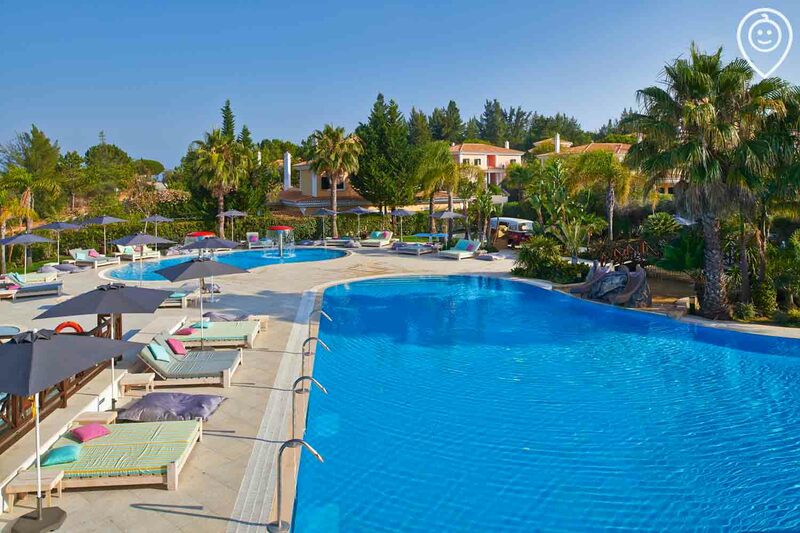 I would recommend Martinhal Quinta in a heartbeat to anyone looking for a family holiday which truly does tick all the boxes. 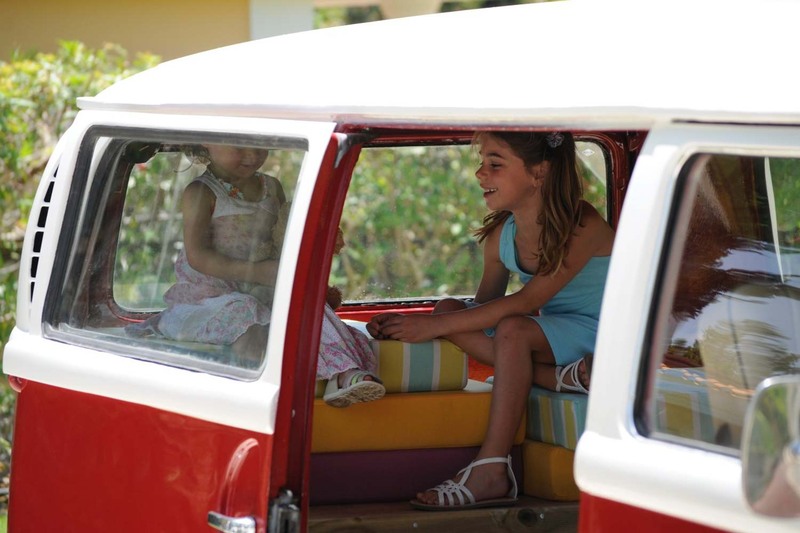 Stress free travel with kids is often hard to come by, but Martinhal Quinta have managed to crack it. We will definitely be returning next year and can’t wait to see the changes they’ve made! We just took an early summer break with the kids to Portugal and Martinhal Quinta really made it perfect! We had plenty of space in our accommodation - the private pool at each Villa makes it so special and we could relax at ease! The kids loved the Kids Club and trampoline by the pool! There was a supermarket on site to all the essentials are at hand. The staff we have to mention were to friendly and enthusiastic. The property at Martinhal Quinta was clean and modernly furnished with all the amenities you would expect. We didn't want for anything within the house and there were enough entertainment options for our little one. All the staff in the resort were friendly and helpful and there were good options to entertain little ones of all ages. The resort was well located for a quick drive to the beach, the lake and restaurants and cafes and, whilst having a modestly stocked mini-market, close enough to bigger shops. The holiday was great for the 3 generations of our family. The only slight downside was the distance to a town therefore making it essential to have a car if you want to explore the area. We used Uber quite a bit as this was much cheaper than the taxis at the resort. It did make it expensive but was still cheaper than hiring a car for the week. Overall a great holiday and was fairly relaxing considering we had a 2 and a half year old with us. 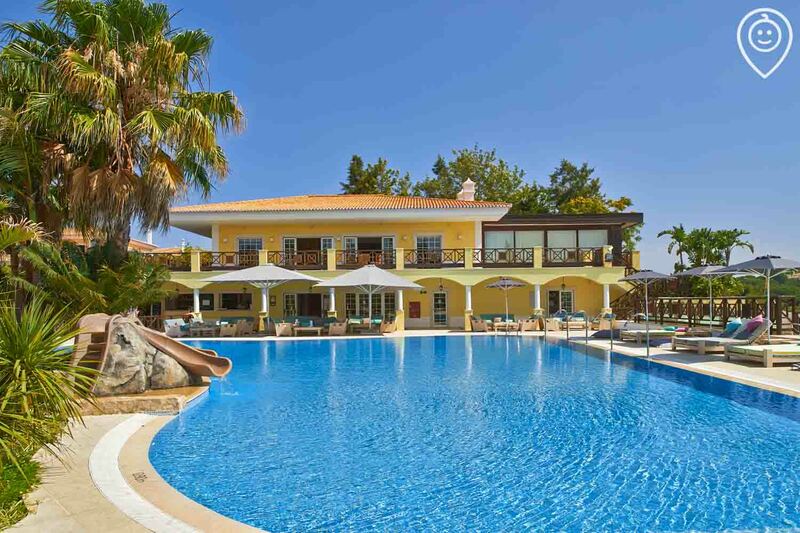 Martinhal Quinta is a fantastic choice for families with young children, our youngest being 2 and 1.The resort itself is lovely, clean and spacious. Our 3 bed villa with a pool was cleaned daily and well equipped. The beds were really comfortable. Having stair gates, the pool fenced off, cutlery books and toys really did make travelling with young children easier. The staff are fabulous with young children and the service is good and with a smile. Breakfast was fabulous and good value. We ate at the resort a number of times for lunch and dinner and though the menu is somewhat limited, the food was very good. 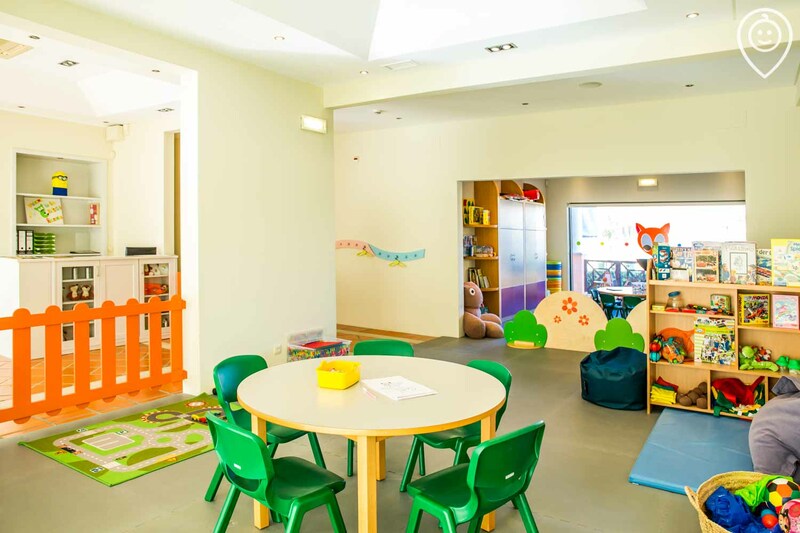 The resort is pricey, from accommodation to transfers and daily living costs but you get what you pay for here and overall it is a lovely, safe experience for young children. The location didn't work for us as there really isn't anything nearby and the locality is quite artificial due to the golf courses. For us, we missed the real Portugal but if you have a car this could be easily remedied. Overall a wonderful holiday for our young children... they had a ball! The recommendation of Martinhal Quinta by your agent was spot on. We had a perfect holiday and the villa was even better than the pictures. 5 star stay in all respects. Staff were all round fantastic at resort. Pool area and restaurant beside were excellent. Facilities ideal for our 2 year old keen on swimming. We hired car for quick trips into town and beaches. Lovely, clean and family friendly resort. Close to the airport so transfers are easy but I would definitely recommend getting a car if you want to explore the area.. there isn't really anything within walking distance. Staff are extremely friendly and we felt very at home. Our children were 1 & 3 at the time. Tots to Travel provided us with every conceivable help to book this lovely family holiday. Perfect for babies and young children, to grandparents. From initially making the booking to booking the transfers for us at the other end. I would definitely advise anyone travelling with young children to visit the Tots to Travel website. Martinhal Quinta Townhouse-villa was much more than we expected - the villa was spacious and we were given plenty of information when we arrived. The TV programmes were in English which helped with babies wake up and night time programmes. Everybody was very attentive and always very helpful, taking every consideration with us. Definitely will be making a return trip in the future. Martinhal Quinta is certain to go down well with the whole family. 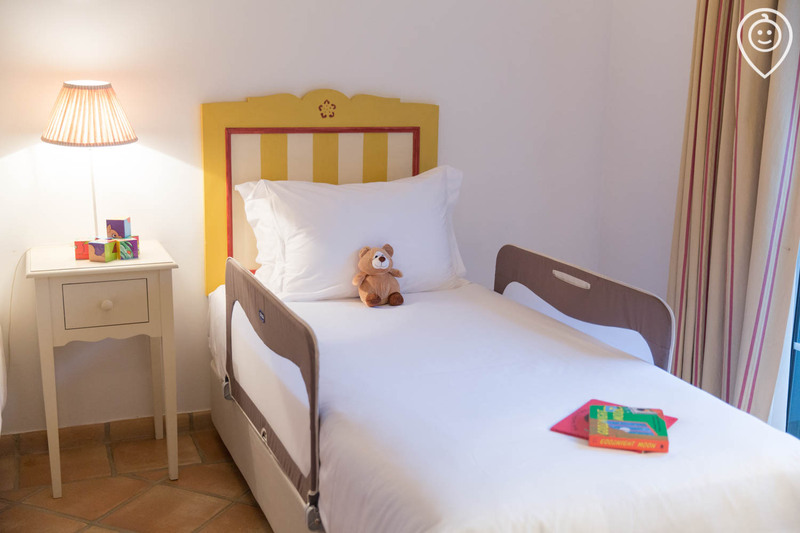 Little ones will find plenty to amuse themselves including the games room, kids’ club, crèche and pool hangout, plus parents can make use of the great babysitting service and Essential Kit Guarantee for the ultimate in holiday relaxation. 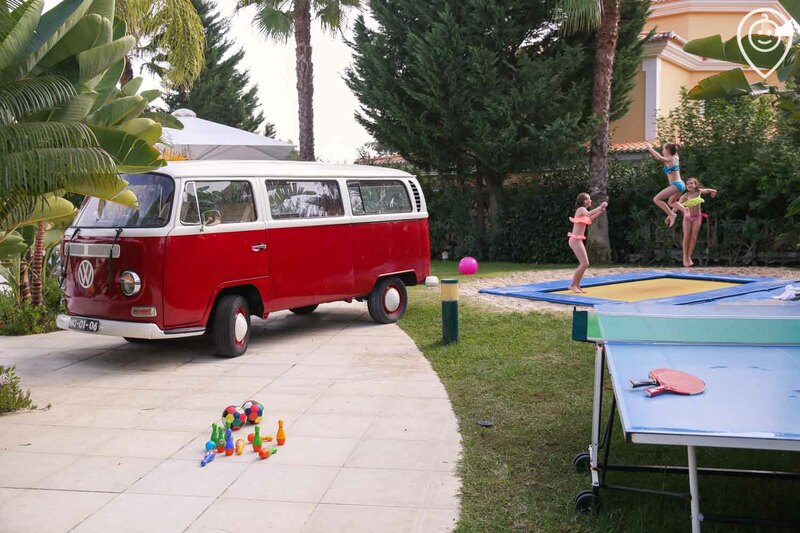 This spacious outdoor play area has a sandpit, trampoline, children’s pool, table tennis and Martinhal’s famous VW play campervan! 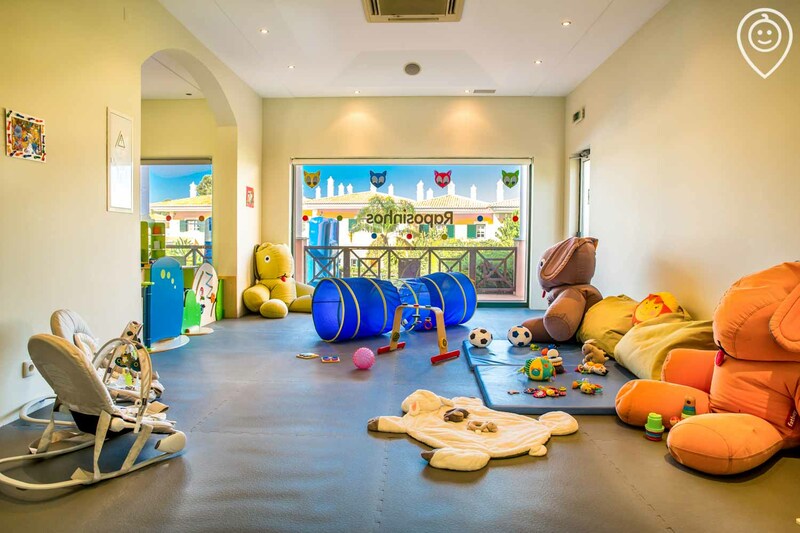 Suitable for ages 2-8 years, the fantastic resort kids’ club offers plenty of age appropriate activities, toys, games and more. For ages 6-23 months, the resort crèche is free in the low season and has plenty to entertain even tiny tots. Older children will love the Blue Room which is full of games consoles, computers, table tennis, table football and more. Treat yourself to an evening off and use the resort’s great babysitting service. It’s charged by the hour, with a minimum of two hours. With yummy sweet treats and mouth-watering savoury snacks, the family-friendly light-bite options at Martinhal Quinta are superb. From buffet breakfasts, to snacks, ice cream and more, you’ll find plenty to satisfy rumbling tummies, before you head out to the huge variety of family restaurants in easy walking distance of the resort, for dinner. 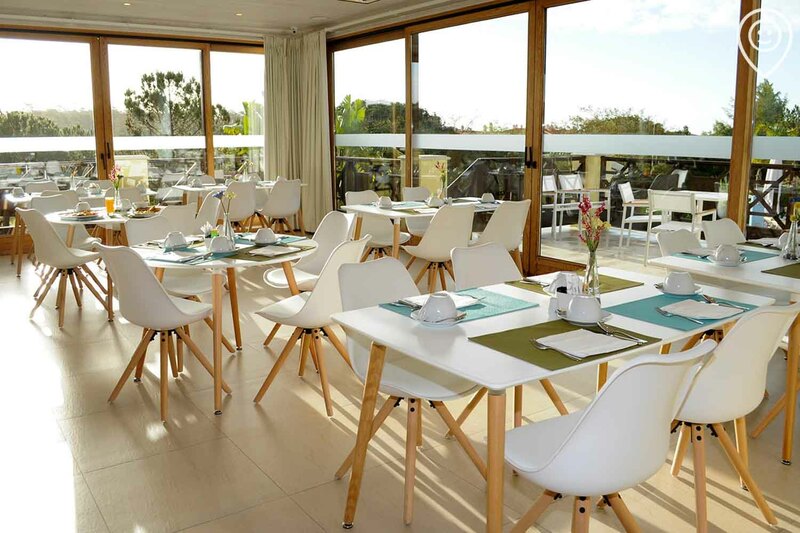 The perfect place to start your day, serving Martinhal’s famous family breakfast buffets. There’s also a lovely outdoor dining terrace. Visit here for a spot of poolside dining; pick up snacks, salads, pizzas, paninis and scrummy sweet treats including crepes, ice cream and waffles. This convenient on-site shop selling daily family basics, takeaway breakfast options and even some cold take-away dishes for munching on during the day. Enjoy taking some time out and relaxing at this fabulous family resort. Float languidly in the pools, ramp up the adrenaline by taking part in some watersports then bring things down again by enjoying some relaxing spa treatments - arrange to have a massage in your own townhouse. The huge main pool has plenty of space for splashing, plus a separate children’s pool, water features and toddler water slides. For a break from the sun, head to the indoor resort pool. Go on, treat yourself - Martinhal Quinta offers a range of luxurious massage treatments that you can enjoy in the privacy of your own townhouse. The thriving Quinta do Lago area in which the resort is set offers loads of easily accessible activities including watersports, golf and more. 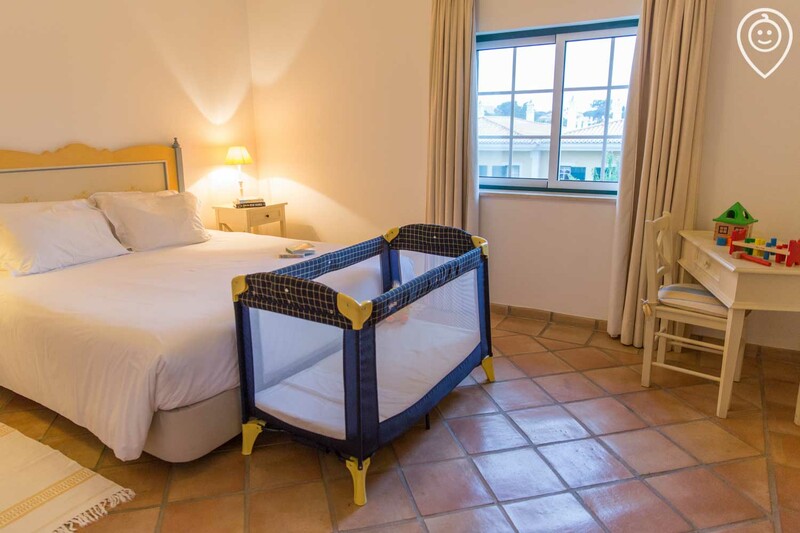 The luxurious Martinhal Quinta townhouses offer the perfect combination of self-catering flexibility with access to family resort facilities. Each townhouse has been hand-selected by us for its family friendly suitability and equipped with our Essential Kit so that families will have everything they need. They also each have a private enclosed pool. Martinhal Quinta is in easy reach of everything that the Quinta do Lago has to offer, including beaches, restaurants, watersports, family attractions, golf courses, shops and more.